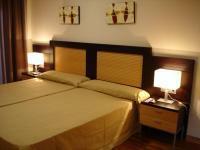 Welcome to the ultimate collection of worldwide luxury vacation and business accommodation rentals in Benalmadena. To book any of these apartments please use the enquiry form on the apartment details page. Like many Spanish towns, Benalmadena (pronounced ben-ahl-MAH-de-na) has a long history including Arabic rule and struggle for power with the Spanish kingdom. Nowdays some of the remaining footprints of this and other cultures are three towers on the coast, Roman remains and a 20th-century fortress built in moorish style right on the beachfront. 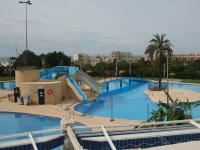 The town is conveniently located about 20 km from the Malaga Airport (Benalmadena map), to which it has easy highway access if you have a car hire and also communicated by a regional train. The three main municipal divisions are the hillside historic centre Benalmadena Pueblo, the urban and residential centre Arroyo de la Miel, and the lively coastal strip Benalmadena Costa. One of the most influential suburbs of Malaga city, Benalmadena has captured a large portion of tourism interest with its sport/commercial marina, golf courses, the Tivoli amusement park, Selwo Marina aquatic park, the archeological museum, and the Teleferico, a cable car that travels from Arroyo de la Miel up to the top of the nearby Calamorro Mountain. From the top of this hill you can enjoy donkey rides, an impressive show of birds of prey, horse-taming displays, hiking, and simply breathtaking views of the coast and Mediterranean. 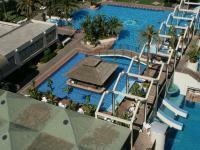 For more information, visit Benalmadena official website.